Mainstream tourism objects in Malang are Batu, Angkot Museum, Jatim Park, and Eco Green Park. Tourists surely visit those places when they arrived in Malang. Unsurprisingly, those tourism objects are much recommended for tourists. But, tourism objects in Malang are not those places only. There are still more happening tourism objects that are no mainstream. What are they? What makes Kedung Celeng Beach special? 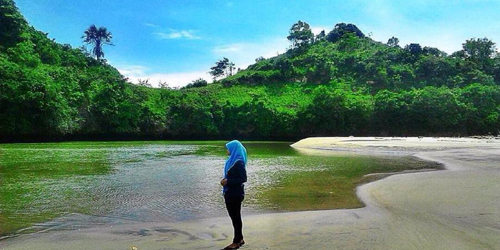 The beach is located in Banjarejo village, Donomulyo, Malang. This is a happening tourism object in teens of Malang. The location is in a hidden spot making it to be an alternative destination when you are holiday in weekend. Tourists will see uniquely beautiful scenery. The nature situation makes you impressed added the blue sea water and whispering wind. The tourists don’t want to go home soon. Coban Tondo is a new tourism place in Malang. This can be included in tourism destination list for visit Malang. Due to the brand new tourism spot, there are rarely domestic tourists coming to this place. In addition, the place is not officially launched yet to be a tourism destination from Malang government. But, this has been happening among local people. The location is in Sidoasri, Sumbermanjing Wetan, Malang. Tourists don’t need to pay entrance ticket. The tourists will see blue water and try to dive in 2 meter – depth. To reach it, you require 3 hours from the center city of Malang. Cliffs in Watu Talang is another happening tourism object in Malang. If you want to have trip Malang, you can include it to your list. This is a new tourism place but many people have visited it. Watu Talang include to a tourism map of Coban Supit Urang. If tourists want to come to the place, they can reach Coban Supit Urang directly. In this place, the tourists will see beautifully different tourism nature in the other Malang tourism places. The tourists can hike line of cliffs in Watu Talang to enjoy the beauty like no other. Ungapan Beach is located in Gajahrejo, Gedangan, Malang. The location is close to Bajulmati Beach. When you arrived in this beach, you will see a series of big stones in the right side of beach. The big stones are similar to a crocodile shape. Furthermore, the beach has blue sea water with big stones in the edge of the beach. You will get surprised with the beauty of sea water color gradation. The best moment to see color gradation is at dusk. 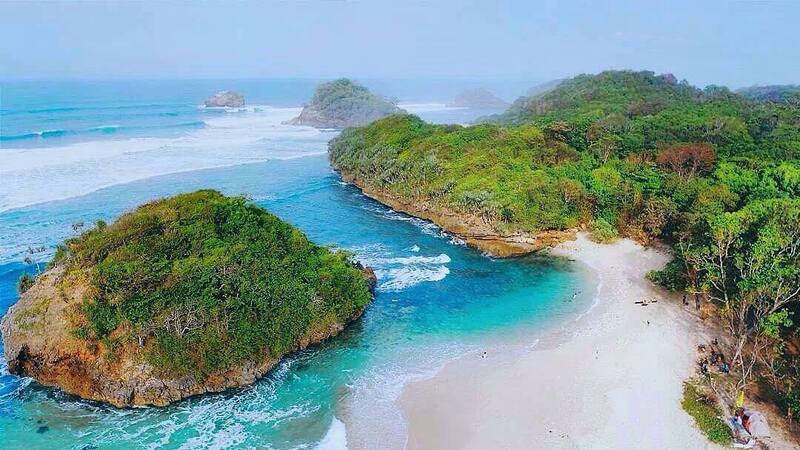 This beach is located in south coast of Malang district. It has fairly big waves. In the beach, there is a no swimming warn clearly. Though you cannot swim, there are some spots in seashore being your own Laguna. Moreover, you are able to see sunset or do camping. This tourism place is very happening in local people being a right tourism destination for wisata Malang.